After several failed attempts at learning to swim, young Carolyn Wood finally conquers her fears and dives into unknown waters. By 1958 she sets a goal to make the 1960 Olympic team and, along with teammates and competitors, begins the arduous road to Rome. Losses, pain, fear, and fatigue accompany the rambunctious athlete as she finds her way through athletic training, school, and dealing with social gender expectations as she realizes she's gay. 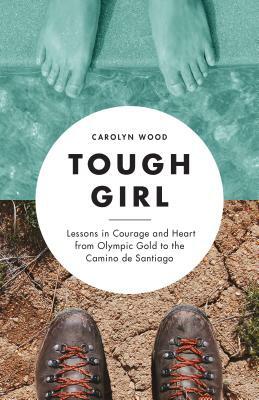 Tough Girl artfully weaves Wood's life story around the tale of her long walk on the Camino de Santiago, an effort to tap into her tough girl resilience so she can begin to accept the end of her long marriage. The ups and downs of Carolyn's childhood road to the Olympics as well as her journey on the Camino, will thrill and inspire readers. ​Carolyn Wood, born and raised in Portland, Oregon, still lives in her original family home. She is a retired English teacher who spent more than thirty years encouraging students to write and is now taking her own advice, although often she'd rather be practicing yoga, outdoors tending her bees and garden, or hiking backroads and mountain trails. Ms. Wood's work has appeared in Teachers as Writers and Elohi Gadugi Journal. This is her first book.